For four years some of the residents of the so-called Railway Colony settlement, located in the center of Skopje (behind Universal Hall), have been facing strong pressure from contractors who want to build residential – commercial buildings there. They say they cannot accept their unfavorable offer for sale of the property and to put signature on contracts that do not protect their rights. We have been blackmailed by our property developers, they offer extremely unfavorable prices, do not give adequate replacement, any remuneration, citizens explain. “We would all like this situation to be resolved, we have been living here for more than 60 years and do not want to be moved out this way. We are prisoners of our own property, still we would like this to be resolved with an agreement and peacefully. We once met Nova Gradba Dizajn and they did not offer anything specific, but they began with repression, that we would have to recede, that we would have our roofing tiles removed, you will pick up your things, you will you go, I will move you all out etc. Other came and we could not agree, we would like to be appropriately compensated”, explains Liljana Simovska. After the division of plots and land acquisition same as the former users of the houses, the construction company Nova Gradba Dizajn started getting into the plots and became the owner of the attic. Nova Gradba Dizajn is located exactly in the attic of the house where Mare Stojkovska lives with her family. “The conditions offered by the developer are unacceptable to us, they have been living in the attic above us for three years and want to forcibly move us out. We have been offered an apartment on the 6th floor and 15,000 Euros, I did not accept, because I do not want at old age to live on the 6th floor and give the first floor to them. They did not offer me what I want. Once they flooded me, once at 10:30 pm they were stealing electricity and I called the police but instead of addressing them, they reprimanded us for calling them. I told them to give me two flats of 50 m2, and I will give my 82 m2“, said Mare Stojkovska. Former leadership of the Municipality Centar brings new DUP (detailed urban plan) under which plots are divided in two, without having obtained written approval by all the residents of this settlement, popularly called Railway Colony. There are three disputed plots after recent amendments to the detailed urban plan made at the end of 2012. After inspection of the detailed urban plan in the primary school “J.H.Pestaloci” one of the residents of this settlement in Municipality Centar submitted a complaint. “I saw that of those three plots six new have been established. As I was told in the municipality, the division of plots according to what is recorded in the archive was made upon the request of the construction company Nova Gradba Dizajn“, explains Biljana Sekulovska. After the division of the plots in the Ministry of Finance the residents were allowed to buy the land and from users to become owners of the land. Sekulovska explains that the division of plots led to the fact one attic to stretch to two building plots. 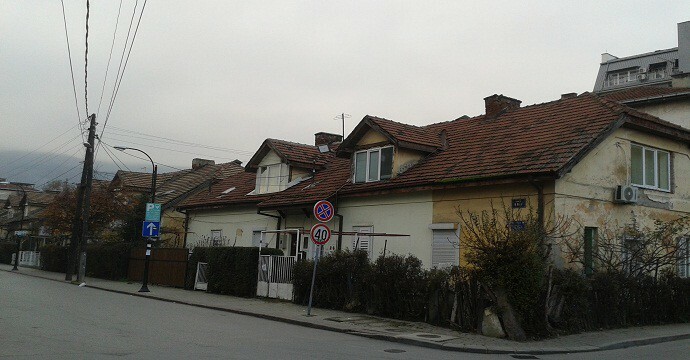 But the construction company Nova Gradba Dizajn managed to purchase part of the house, or just that attic. As the residents of Railway Colony say, from January 2013 developers started blackmailing them, or they offered mortgaging of property, unacceptable agreements and crash price not allowing other developers to contract with them. “My mother was born here and physical separation of the semi-detached houses was made, this means that next to my house a building can be built. They are now in the attic, they bought it. I have 100 m2, and he offers 120 m2, there is no prospect for a reasonable agreement with Nova Gradba Dizajn, another developer should come. We all invest in our dwelling and when someone wants to take it, he should give us something plus. He offered in Kisela Voda, then a house in the village Sonje, and wants me give him a house in Centar? They were all oral conversations, we have not reached an agreement. For now I do not see a solution, especially with them”, says Gorjan Stojanovski, son whose mother owns a house in the settlement Railway Colony. “This has been lasting since 2002 when land privatization was launched”, says 70-year-old Elena Mojsova that has meanwhile lost her husband. All developers run away when they hear about Nova Gradba Dizajn“, says Mojsova. She says: We are unprotected, and they use blackmails. We tried to get an official response from Nova Gradba Dizajn to all these questions by the owners of the houses but we did not find their web page, nor anyone answered the phone that we got from 188. After having visited their office in the attic in Railway Colony Marjan Toshevski called via his mobile phone. He said that we had no right to neither enter his company nor call him. After we asked him for an official statement regarding the dissatisfaction expressed by residents of the settlement, he said that he was very busy now building three buildings in Kisela Voda and that he had no documents signed with the people from Railway Colony and therefore he had nothing to talk about to journalists. According to the history of the company issued at our request by the Central Registry of RM at the end of 2012 the company Nova Gradba Dizajn submitted an application for company registration, in January 2013 the ownership structure was in the hands of Maja Dimoska and Stefan Toshevski. For almost two years there were several changes in the ownership structure and the set of managers. In March last year, Maja Dimoska was removed from office, and Marjan Toshevski (1972), became manager and Zoran Miovski is a partner in the company. In November last year, Dragan Kazandzhiski and Stefan Toshevski became owners-founders of Nova Gradba Dizajn and the partner Zoran Miovski was deleted. Then as a manager, instead of Kazandzhiski, certain Ivona Rizinska from Berovo was nominated. In May last year last update was registered where managers are: Stefan Toshevski (1994) and Dragan Kanzandzhiski (1982), who unlike Toshevski, from manager with unlimited powers, became manager with limitations, or by order of 5,000 Euros. And Ivona Rizinska from Berovo (1991) was deleted. Other developers also use the tactics of penetration as owners in cadastral plots. As from the previous example the company “Tim engineering” also acted in the same Railway Colony. “The odyssey with investors began 10 years ago after we had purchased the plot on which there were five houses. One of the houses has been bought by the company “Tim engineering” which at the time when we were buying the yards, that is the land, said it had a plan to build a block of flats in accordance with the urban plan and those tenants who want apartments here would get apartments, and others would get elsewhere or would be reimbursed their part, house, property with money. We were all glad because they are old houses from the twenties of the last century. We all submitted a joint application for purchase of yards because it is one building plot“, explains Lidija Zorba, owner of one of the houses. Offers followed that were unacceptable for homeowners or offered damages were far from adequate compensation. “Since we are the owners of part of the parcel but bids do not correspond to the market price, the land is estimated by the Municipality Centar. For my house, or the assessment of a house of 70 m2 and a garden of 208 m2 of more than 250,000, the offer I got was three apartments of 42 m2, it was the first offer, followed by many other offers and then apartments of 50-60 m2 in another location. Normally I did not agree. In the meantime I tried to bring other developers, as well as the other owners, who said they were prepared to pay, but they always came across an obstacle that Tim engineering entered there and does not want to go from here“, explains Lidija Zorba, one the owners of the houses. Additional problems that the owners of the houses will face in the sale of their property are their title deeds where plots are divided according to ideal parts, a document which does not correspond to the decision received from the Ministry of Finance for purchase of land where the area is listed. As they explained at the Cadastre, to such collective dwelling, although they are houses, no title deed is issued with size, but everyone owns an ideal part of the cadastral plot. That is one-seventh of approximately 800m2. In the so far offers from “Tim engineering” they were told that the purchase agreements would be signed by cadastre parts, and then the company, as a developer, would pay according to the size by the Ministry of Finance. Zorba explains that in the contracts they would sign it would have to be clearly and explicitly stated so that they are not played. Municipality Centar and all competent authorities have been informed about the situation in Railway Colony. “They are constantly open and said they were willing to mediate between homeowners and the developer Nova Gradba Dizajn”, says Biljana Sekulovska, owner of one of the houses. SCOOP sent questions to the Municipality Centar: How would the municipality help these people? Are there other such cases in the municipality? Is it possible to return the urban plan for audit? How is it possible one attic to be part of two building plots? In the response that SCOOP received from Municipality Centar it is stated: “Detailed Urban Plan, City quarter 3 11, site Bunjakovec 1 and Bunjakovec 2, which covers the subject site is in the process of decision. In preparation of the detailed urban plan account will be taken of these anomalies made by the previous composition of the Council, which passed the amendments to the current DUP and the amendments will be made according to positive legal regulations”. Unlike the situation in Macedonia where purchase agreements are made between owners as individuals and developers as legal entities, the experience in Europe is quite different. Civil engineer and VMRO-DPMNE MP from diaspora, Risto Manchev, who has been working in Germany and Italy for 15 years, where he has his own construction firm, for SCOOP explains that there such cases are resolved through a third party. “In Italy a real estate agency mediates between owners and construction companies, they do not need to get in touch at all. The agency estimates the value of the building and it offers that price to the contractor of the new facility”, explains MP Manchev. But what if the owners of old buildings do not have enough finances to pay for assessment services to the agency? “In that case, the assessment of the building would be made at a higher price, and the real estate agency would charge this service through the construction company”, he says. Civil engineer Mancev says that European experience shows numerous examples of such authentic and old buildings, such as in Railway Colony dating from the twenties of the last century, not knocked down at all for setting up a residential or office building. Their infrastructure is renewed and they are renovated in a way that preserves and highlights their special architecture. Residents say: We want to sell the properties but we would like to be realistically compensated and to actually sign contracts that will protect our interests and will guarantee that the investor will meet all its obligations. The examples of other municipalities in Skopje show that in some cases developers do not meet their obligations. In the so-called part of the settlement Aerodrom, Micurin (streets Atanas Mitrev and Venjamin Macukovski) citizens have been played by property developers and constantly seek help from the municipality to win the battle with the companies and obtain their title deed. Some say they cannot obtain personal documents, others have decided to travel abroad and to sell the apartment, but it is impossible without the title deed. To our letter to the Municipality Aerodrom they responded they are familiar with several such cases, that is, a few blocks of flats, where tenants after a few years cannot get title deeds, because it is about illegally built facilities. Competent from the municipality promise that their status will be resolved with the Law on legalization. “When buying an apartment, first and most important is to check whether the property of the one they are buying from is registered in the Cadastre or not. Once the property is not entered in the Cadastre, it means that something is wrong with the documentation for obtaining a building permit. For these reasons before they buy an apartment, citizens need from the developer, if the facility is in the course of construction, to require a building permit, which shall be final, and even then they can freely buy the apartment, because once the facility is built, it will only be implemented in the Cadastre. Since citizens ignorantly approach when buying apartments without applying any documentation or title deed or a building permit, there are these unfavorable effects”, they explain from the Municipality Aerodrom for SCOOP. According to the Cadastre, cadastral registration of real estate is on the basis of: law, final court decisions, decisions on temporary measure, previous measure and other acts for claims in accordance with the law, decisions of the Government of RM, final acts of the bodies of state power, bodies of local self-government units and the City of Skopje, legal acts and statements certified by a notary on the basis of which rights of property can be entered, whose submission is mandatory defined by this or any other law. If the above conditions are not met, the property cannot be registered in REC. All embassies in the country are familiar with the case of Kazimi from Tetovo is facing, the European Commission, the Helsinki Committee for Human Rights and Transparency International. I, Dashmir Aliu, mentioned in the story “From building expansion to usurpation of others’ homes” within the NED project “Raising awareness of corruption through investigative reporting”, published on January 7, 2015 in the online magazine Inbox 7, deny allegations and slander presented by the person Ibrahim Kazimi. I, as a name badly talked about in this story, as proof have three court decisions by the Court of Appeal that are final and valid, and your text does not match the reality. Therefore, I think that in your story you should have taken a statement from me – Dashmir Aliu, and to be more accurate and transparent in your investigation. The person who appears with charges against me has no argument for the allegations given to you. The same person is accused by the Basic Court in Tetovo of forgery and defamation, and we will continue to follow the court decisions in terms of constant slander expressed in public, because we always believe in righteousness and justice. And we believe that justice lies in our arguments and not in his slander. Therefore, in my name and on behalf of truth, respecting the right to freedom of expression, I hope that such slander will not be expressed in future because this degrades our authority as people. I have always believed court decisions and the freedom of expression, but not slander and untruths aimed at doing harm to others. Therefore I would like to ask you every time my name is mentioned to contact me and I am open to deliver all documents that prove justice is on my side. Everything started in June 2012 when the developer Dashmir Aliu went to the house of Ibrahim Kazimi in Switzerland “complaining” about losing millions because he had to wait, and offered to build in his part, to make a common facility by exchange. In the exchange agreement, which later became the subject of filing criminal charges, both Kazimi and Aliu put their signature. They agreed about the transferred land on which a multi-storey buidling was going to be built Aliu to cede to Kazimi the ground, first and second floor, without forgetting the compensation for demolition of the old houses. “To my old parent (Sulaiman Kazimi) after returning from Switzerland in Tetovo, in the office of the notary he gave a purchase contract (without saying a word about the exchange agreement, without the presence of witnesses and without mentioning any kind of payment”, says Ibrahim Kazimi. After consultations with a lawyer about the new situation he was instructed not to take the contract and file a lawsuit against Dashmir Aliu. At the hearing before the Basic Court in Tetovo held in April this year the out of court agreement concluded in Switzerland signed by Ibrahim Kazimi and now defendant Dashmir Aliu was declared invalid and informal. Aliu’s lawyer said the agreement was the basis for another civil-legal terms and subject to other procedure. Before the court he denied being paid a sum of 10,000 Euros under the purchase agreement between Aliu and father Kazimi and required the court to fully reject the lawsuit. “After returning from Switzerland Aliu took my father to the notary, as holder of the ownership right, and instead of the negotiated agreement for exchange, he concluded a purchase contract. In the agreement, rather than two floors and the ground floor, it is stated that the purchase refers to only one floor and the ground floor of the building to be built”, then testified in court Ibrahim Kazimi, as stated in the minutes of the hearing held on 24.04.2014. Before the court, however, the notary claimed that Sulaiman Kazimi knew what he was signing and the contract was clearly brought up and read by him. The signed purchase contract (concluded on 18.06.2012), according to him was valid and in accordance with law. The First Instance Court found that Sulaiman Kazimi owned the cadastral plot. The son of the plaintiff Ibrahim Kazimi made an agreement for exchange with the defendant Dashmir Alii at a meeting in Switzerland. On 18.06.2012 a purchase contract was signed between Sulaiman Kazimi and Dashmir Alii buyer, for a price of 590,000 denars. After two months the plaintiff submitted a statement to the notary and declared the contract void, because it was to be regulated in accordance with previous oral agreement with the content of exchange of property. He stressed that he received the contract late i.e. on 10.08.2012 without notice of the deadline for receipt, without having read the content and explained in concluding it, and that would be brought before the competent authorities as a subject to legal fraud and criminal charges attempt for manipulation and therefore offered the contract to be voided. For Ibrahim Kazimi it remains unclear how can a contract be valid which states that accordance was given by his mother, who has been dead for 10 years. However, Tetovo Appeal considers the agreement signed at the notary concluded under the laws, saying: to request cancellation of the contract by the party who was disillusioned in concluding it, attention should have been paid when putting the signature, in this case it is neither about a person with a limited work capability (Article 103 of the law), nor someone told him that he would be delivered an exchange agreement. Referring to Article 95 paragraph 1 of the Law, Agreement which is not in accordance with the Constitution, laws and best practice is null, if the purpose of the injured rule does not refer to any other sanction or if under the law in the particular case is not provided otherwise. The court resolution ended in September this year when Tetovo Appeal rejected the appeal of Sulaiman Kazimi as unfounded and determined that notary public issued a public document in accordance with the conditions laid down by law or the purchase contract he signed was valid. 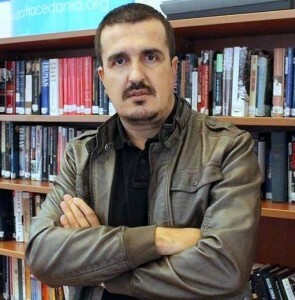 In a separate dispute of 19.02.2014 on charges of Public Prosecution for a crime falsifying documents, in June this year, the Basic Court in Tetovo found Ibrahim Kazimi guilty and punished him with 50 daily fines or amount equivalent of 250 Euros, because he amended the exchange agreement signed in Switzerland between him and Aliu. In post script, besides the ground floor and two floors, he added a shop and an apartment in another building that would be built. According to the court, the statement was important for legal relations which he used as real in litigation against Aliu. Apart from the inadequate compensation by the developer regarding the land and knocked down houses, now Kazimi was found guilty of falsifying documents. With his case he has already met all embassies in our country, as well as the European Commission, the Helsinki Committee for Human Rights and Transparency International and he expects them to help him find justice. Every day other similar cases that threaten civil rights happen in our country. According to Kazimi this phenomenon of individuals is very present, those who without a hint of morality and culture cheated his father with a fake agreement and usurped his home. “That is what happened to my parents when a dishonest, immoral and unscrupulous person, a liar, manipulated and falsified the agreed act at the notary, “forcing him” to sign a contract with a completely different content of the oral agreement (concluded a day before, personally with me in Switzerland), i.e. without knowing that he signed a covert purchase agreement instead of exchange agreement”, explains revolted Kazimi. According to him developer Dashmir Aliu has not made this crime for the first time and in his fraud he has managed to involve state and social institutions. According to the developers SCOOP talked to, in 90% of cases they offer compensation, no one offers money, it is expensive for the developer to pay, for example, half a million Euros. According to the latest provision in Article 39 of the Law on Urban Planning, which will be put into effect on 1st March next year, and which has been passed in the Assembly of RM, only one-third of votes of the members of councils of each municipality is necessary so that urban plans can be brought. This legal amendment caused a backlash in some municipalities. “Owners often have too big expectations and require large amounts. They seek 50% damages or 33% of net built area that is unacceptable for the developer, over 25% in Skopje is unacceptable, in Centar 17% is the limit“, experts say. Compensation is offered adequately to the existing area, say developers who point out the owners themselves can build on the basis of a contract investment between owners in respect to the ownership. They need project documentation and investment plan, for example, for 1,500 m2 each has his own 15%, 30% and so on. If the developer has purchased a plot in a given building plot, then he has an advantage. A review of the detailed urban plans is done every 5-10 years, the request may be submitted separately, and also by all owners. Construction engineers explain that it is not built on cadastral plots, a building plot may have more cadastral plots, and a building plot is not divisible. In practice, the developer pays rent to the owners while the facility is built, for example near the New Railway Station apartments are paid to 13-14 owners until the block of flats is finished and therefore the construction company wants to complete the building faster. Developers complain that project documentation is quite extensive, that they must provide fire elaborate, IZIS permits, and from 2016 each building will need an energy passport. At the same time, they say the prices of construction materials are constantly rising because of the stock type, there is no Regulatory commission here. “Citizens do not know the laws of property, the Law on Cadastre and what it takes to get a building permit. They have high demands and expectations and put their nose in every segment of the things (they come to the facilities telling workers how to work), want tiles of 30 Euros a square meter, while the developer on average puts tiles that cost 17 Euros per square. There are quarrels about 2-3 m2 plus minus in the newly built apartment”, builders explain. Unlike the practice in Macedonia, European experience of the engineer and MP Risto Mancev says that the facility must not have concessions in centimeters and if that happens, the owner must be compensated. On 15 December this year the Parliament adopted the amended Law on Construction, where the amendments are the alignment with the handbook for energy efficiency or for a certificate of energy efficiency of buildings and other construction units. Then exclusion of buildings for individual housing from the Rulebook, that is not to be required by law. In the amendments it is stated for which constructions it is not necessary to issue a building permit, such as temporary buildings to accommodate workers during the construction of infrastructure facilities, underground waste containers. Reduction of fines for individuals, if they do not provide a certificate of energy efficiency is also part of the amendments.